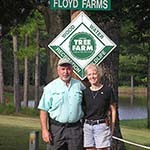 Tree Farmer Awards | N.C. Tree Farm Program, Inc. 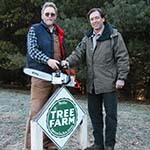 Outstanding Tree Farmers of the Year are actively involved in managing their land to a high standard and promoting wise forest management in their communities. 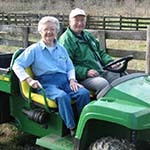 They serve on forestry committees, host field tours and workshops, participate in a broad array of conservation programs and are great communicators about forest management. 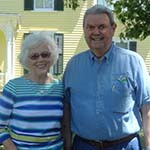 Their communities see them as leaders in conservation practices who, by their example, encourage other landowners to adopt sustainable forestry practices. 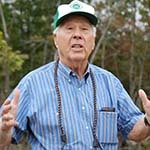 Outstanding Tree Farmers of the Year advocate for sound forest management policies through contact with political leaders and decision makers, and encourage other Tree Farmers to be engaged in policy issues. 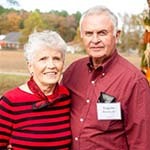 They meet all the American Tree Farm System Standards of Sustainability and follow the ATFS mission “to promote the growing of renewable forest resources on private lands while protecting environmental benefits and increasing public understanding of all benefits of productive forestry.” North Carolina’s Outstanding Tree Farmers of the Year are below. 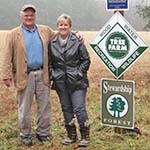 North Carolina is home to two National Outstanding Tree Farmers of the Year. 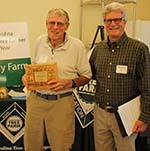 In 2016, we began recognizing County Outstanding Tree Farmers of the Year in one N.C. Forest Service district in each region of the state (Coastal Plain, Piedmont, Mountains).